The FDA dictates specific uses and indications of a drug based on pharmaceutical trials. These specific uses and indications are “on the label”. Physicians frequently utilize pharmaceuticals “off label” from their branded purpose based on clinical reasoning. This is a legal and widely accepted practice and necessary to treat conditions which at this time may not have the research evidence available to support the practice but has demonstrated good clinical outcomes. The advent of Clinical Prediction Rules (CPR) and subclassifying of conditions towards specific treatment protocols has been growing in the physical therapy realm5,8,12,13. This is particularly true with manual therapy and CPR for joint mobilizations/manipulations for the cervical, thoracic, and lumbar spine. In general, these guidelines tend to be region specific, IE: a lumbar manipulation for a lumbar condition5,8and cervical spine mobilization/manipulation for neck pain12. Although not as well known, predictive factors for the influence of cervicothoracic manipulation on shoulder pain10 and lumbopelvic manipulation in patellofemoral pain syndrome9 have also been proposed. You could say that the advent of CPRs/classifications is the rehabilitation world’s attempt at providing an “on label” guideline for treatment. However, little other attempt has been made to provide subclassifications for conditions and treatments regarding manual therapy interventions on extremity conditions. Clinically, worldwide, many movement professionals treat extremity conditions one to two joints proximally or distally, in particular through addressing mobility at the spine. This practice is based in the idea of regional interdependence, or “the concept that seemingly unrelated impairments in a remote anatomical region may contribute to, or be associated with, the patient’s primary complaint.”18 In an essence, this practice is “off label”, but unlike the pharmaceutical practice, it is not widely accepted and frequently questioned. This is particularly true from a medical billing and, depending on the location, referral/medical prescription level. Even from within our profession itself, it is not terribly uncommon for the concept of regional interdependence to questioned and perceived as a “wild goose chase around the body” 18. As I have mentioned in previous posts, Thomas Myer’s Anatomy Trains based system KMI, Gray Cook’s SFMA and Gary Gray’s Chain Reaction Biomechanics™/GIFT Fellowship are perhaps the first to develop standardized evaluation and treatment methods of looking at the body globally rather than locally. Although the terminology varies between each, all of these programs have essentially provided a road map towards understanding regional interdependence. I have minimal exposure to all of these programs, so I cannot give justice to any of them trying to give additional details from their models. However, I wanted to share my thoughts on regional interdependence based on the experience I have gained through my mentors, research, and my limited full-time clinical experience thus far. A JOSPT guest editorial by Wainner, Whitmann, Cleland, and Flynn titled Regional Interdependence: A Musculoskeletal Examination Model Whose Time Has Come (Freely available directly from JOSPT) written in 2007 probably first popularized the term “Regional Interdependence”, because very little literature prior to this date utilized this term. This editorial presented a great case, both from a clinical and a research perspective, that the practice of examining musculoskeletal conditions beyond the single joint/primarily complaint area is woeful inadequate to address the needs of both common and complicated conditions 18. Research has increasingly been supportive of regional interdependence. Improved pain scores and functional outcomes have been demonstrated painful shoulder conditions as a result of the use of cervicothoracic and rib manipulation 2,4,10,15. Similarly, lumbar and pelvic manipulation has demonstrated improvement in patellofemoral pain syndrome9,16,19. Beyond manual therapy, evidence for the use of foot orthotics for various lower extremity injury as a preventative measure7 and as a method of treating PFPS 17. However, the role of distal contributions, or more specifically excessive pronation, was recently questioned in a systematic review by Chuter and Janse de Jonge6. In their review, they proposed that a greater influence on lower extremity injury arises proximally from the “core”6. Regardless, what is evident in available research is that proximal and distance regions to the site of injury have some role either as a result of the injury, or as a precursor to the injury1,6,11,14. Clinically, there are presentations and treatments related to regional interdependence which are a long way (if ever) from being able to be demonstrated or clearly explained in a research design. We are still in the early stages of understanding manual therapy, let alone regional interdependence. Bialosky, et al. (Open access link) provides a great review and proposed a model which encompasses both joint and soft tissue mobilization/manipulation 3. Although the emphasis of this model and much of the research on manual therapy is based on a neurophysiological, peripheral, spinal, or supraspinal mediated mechanism 3, it is difficult to extrapolate whether these the neurological models also play a key role in regional interdependence. Perhaps now, with the treated “dysfunction” one or more joints away from the injury location, the importance of “movement”, as biomechanically dictated, plays a more important role? Or perhaps still, somewhere in “homunculus land”, a map of regional interdependence is now changed to alter both pain and movement patterns. It is too early to tell, but hopefully this question will soon answered! Whatever the mechanism may be, clinically, there still appears to be a degree of specificity and clinical reasoning necessary in order to provide an optimal outcome. To illustrate this, I want to present a brief clinical case. This case involves a 23 year old male competitive soccer player who originally presented with posterior left rib pain around T5 region which somehow evolved into some form of left posterior shoulder pain and restricted ROM. Somatic dysfunctions for the thoracic spine, ribs, scapula, glenohumeral capsule, and surrounding tissue(including an incredibly tight latissimus dorsi) were identified. These factors were assumed to be key to recovering the 10-15 degree loss of shoulder flexion with a painful posterior “pinch” at the endrange. 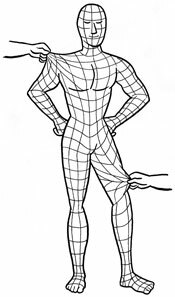 A gambit of joint mobilizations and attempts to lengthen the latissimus dorsi, as well as, various techniques for “releasing” other soft tissue restriction was started. Despite 4 sessions of valiant attempts to regain this loss of shoulder flexion through manual therapy and stretching even up to two joints away, little progress was made. Out of shear randomness, I observed an obscurity in the way the inferior aspect of his rib cage moved when I passively flexed his left shoulder. Perhaps it was an illusion generated by my mind from years of staring at Thomas Meyer’s Anatomy Trains, but something made me believe it was worth looking at his rectus abdominis. Needless to say, simply palpating the rectus abdominis was enough to generate a startle response similar to a typical trigger point presentation. Tension and “restriction” was felt through the lateral band of the rectus abdominis. Much to the patient’s dismay, I spent two minutes “releasing” this restriction and without any other treatment. Immediately afterward, I was able to move him into those last 10-15 degrees of shoulder flexion pain free. One additional treatment was scheduled and the patient was set for a one week recheck, at which point they were still symptom free and discharged. Looking back now, I could pretend I know what happened and propose a theory to explain it from a biomechanical model utilizing Anatomy trains. I could state that since the rectus abdominis inserts on ribs 5-7, it must then pull on the fascial origins of the pectoralis minor directly or through pulling the rib cage down. Consequently, the pec minor then pulls on the coracoid process of the scapula, which could result in anterior tilting of the scapula, and therefore give a possible mechanical cause for the “pinching sensation” and restricting shoulder flexion. The honest truth is, I don’t know why it worked, because it was such a random find. Yet oddly enough, it seemed as though I had to be specific enough in my treatment approach in order to get a positive outcome for this patient. Simply addressing classic restrictions around the shoulder was not enough in this case, I had to go even farther, and I had to use soft tissue! Did I truly decrease the tension in the rectus abdominis and therefore produce the mechanical cascade which lead to this resolution? Could it have been placebo, was the shear randomness of the treatment approach a psychological effect that somehow modulated the pain or ROM changes? I am completely open to any suggestions! 1. Berglund KM, Persson BH, Denison E. Prevalence of pain and dysfunction in the cervical and thoracic spine in persons with and without lateral elbow pain. Man Ther. 2008;13(4):295-299. doi: 10.1016/j.math.2007.01.015. 2. Bergman GJ, Winters JC, van der Heijden GJ, Postema K, Meyboom-de Jong B. Groningen manipulation study. the effect of manipulation of the structures of the shoulder girdle as additional treatment for symptom relief and for prevention of chronicity or recurrence of shoulder symptoms. design of a randomized controlled trial within a comprehensive prognostic cohort study. J Manipulative Physiol Ther. 2002;25(9):543-549. doi: 10.1067/mmt.2002.128373. 3. Bialosky JE, Bishop MD, Price DD, Robinson ME, George SZ. The mechanisms of manual therapy in the treatment of musculoskeletal pain: A comprehensive model. Man Ther. 2009;14(5):531-538. doi: 10.1016/j.math.2008.09.001. 4. Boyles RE, Ritland BM, Miracle BM, et al. The short-term effects of thoracic spine thrust manipulation on patients with shoulder impingement syndrome. Man Ther. 2009;14(4):375-380. doi: 10.1016/j.math.2008.05.005. 5. Childs JD, Fritz JM, Flynn TW, et al. A clinical prediction rule to identify patients with low back pain most likely to benefit from spinal manipulation: A validation study. Ann Intern Med. 2004;141(12):920-928. 6. Chuter VH, Janse de Jonge XA. Proximal and distal contributions to lower extremity injury: A review of the literature. Gait Posture. 2012. doi: 10.1016/j.gaitpost.2012.02.001. 7. Collins N, Bisset L, McPoil T, Vicenzino B. Foot orthoses in lower limb overuse conditions: A systematic review and meta-analysis. Foot Ankle Int. 2007;28(3):396-412. doi: 10.3113/FAI.2007.0396. 8. Flynn T, Fritz J, Whitman J, et al. A clinical prediction rule for classifying patients with low back pain who demonstrate short-term improvement with spinal manipulation. Spine (Phila Pa 1976). 2002;27(24):2835-2843. doi: 10.1097/01.BRS.0000035681.33747.8D. 9. Iverson CA, Sutlive TG, Crowell MS, et al. Lumbopelvic manipulation for the treatment of patients with patellofemoral pain syndrome: Development of a clinical prediction rule. J Orthop Sports Phys Ther. 2008;38(6):297-309; discussion 309-12. doi: 10.2519/jospt.2008.2669. 10. Mintken PE, Cleland JA, Carpenter KJ, Bieniek ML, Keirns M, Whitman JM. Some factors predict successful short-term outcomes in individuals with shoulder pain receiving cervicothoracic manipulation: A single-arm trial. Phys Ther. 2010;90(1):26-42. doi: 10.2522/ptj.20090095. 11. Reiman MP, Weisbach PC, Glynn PE. The hips influence on low back pain: A distal link to a proximal problem. J Sport Rehabil. 2009;18(1):24-32. 12. Schellingerhout JM, Verhagen AP, Heymans MW, et al. Which subgroups of patients with non-specific neck pain are more likely to benefit from spinal manipulation therapy, physiotherapy, or usual care? Pain. 2008;139(3):670-680. doi: 10.1016/j.pain.2008.07.015. 13. Slater SL, Ford JJ, Richards MC, Taylor NF, Surkitt LD, Hahne AJ. The effectiveness of sub-group specific manual therapy for low back pain: A systematic review. Man Ther. 2012;17(3):201-212. doi: 10.1016/j.math.2012.01.006. 14. Souza RB, Powers CM. Differences in hip kinematics, muscle strength, and muscle activation between subjects with and without patellofemoral pain. J Orthop Sports Phys Ther. 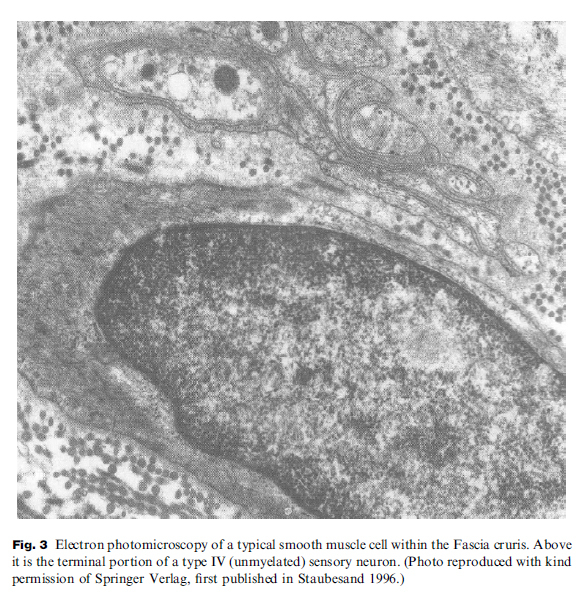 2009;39(1):12-19. doi: 10.2519/jospt.2009.2885. 15. Strunce JB, Walker MJ, Boyles RE, Young BA. The immediate effects of thoracic spine and rib manipulation on subjects with primary complaints of shoulder pain. J Man Manip Ther. 2009;17(4):230-236. 16. Vaughn DW. Isolated knee pain: A case report highlighting regional interdependence. J Orthop Sports Phys Ther. 2008;38(10):616-623. doi: 10.2519/jospt.2008.2759. 17. Vicenzino B, Collins N, Cleland J, McPoil T. A clinical prediction rule for identifying patients with patellofemoral pain who are likely to benefit from foot orthoses: A preliminary determination. Br J Sports Med. 2010;44(12):862-866. doi: 10.1136/bjsm.2008.052613. 18. Wainner RS, Whitman JM, Cleland JA, Flynn TW. Regional interdependence: A musculoskeletal examination model whose time has come. J Orthop Sports Phys Ther. 2007;37(11):658-660. doi: 10.2519/jospt.2007.0110. 19. Welsh C, Hanney WJ, Podschun L, Kolber MJ. Rehabilitation of a female dancer with patellofemoral pain syndrome: Applying concepts of regional interdependence in practice. N Am J Sports Phys Ther. 2010;5(2):85-97.